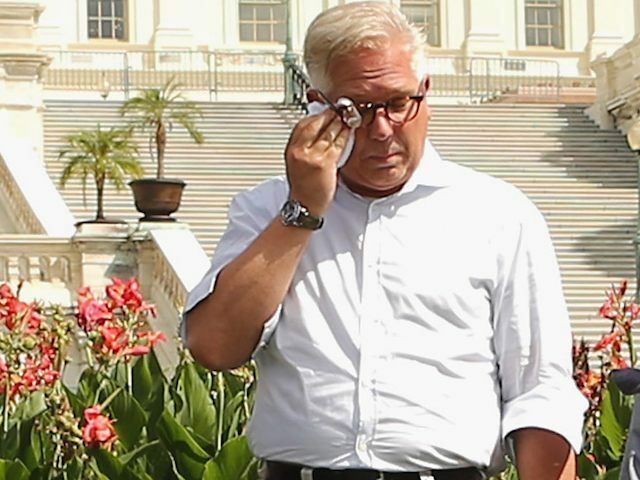 In a long and often emotional interview with Ginni Thomas before his speech on Thursday at the Rally against the Iran Deal in Washington, D.C., Glenn Beck explained his mission to relocate Syrian refugees fleeing ISIS into the United States, even if that requires facilitating their illegal entry and his imprisonment. Beck, who has vocalized his support for the plight of illegal immigrants crossing the U.S.-Mexico border, even going so far as to organize the distribution of teddy bears, soccer balls, and hot meals to illegal immigrants detained at the border last summer, got emotional discussing the Middle East migrant crisis engulfing Europe. Beck characterized current events as part of a struggle of good versus evil that he feels compelled to address. Beck’s message has shifted towards issues of faith, which he sees as divinely serendipitous. “God’s timeline and our timeline has now just connected. We’re now on his timeline. This is the time that we were born for. It’s remarkable. And I can feel it happening,” he said.